This page shows the latest WPP news and features for those working in and with pharma, biotech and healthcare. 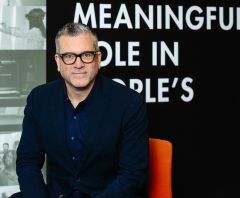 The move saw Eastwood leave a similar position at J. Walter Thompson (JWT), a marketing communications agency that recently announced it will merge with WPP’s digital agency Wunderman. Firm says it will invest in creativity, tech and talent. Mark Read, CEO, WPP. ... We will achieve this while respecting the things that make WPP the great company it is today”. Approximately 11 fully matching, plus 30 partially matching documents found. The Author. Gloria Gibbons is president, EMEA, Ogilvy CommonHealth Worldwide &WPP Global Client Leader, a member of the EACA Health Communications Council. He was part of the WPP team that won the global account for Xarelto, tasked with re- imagining Bayer’s biggest selling drug. He has held senior roles across Omnicom (Porter Novelli) and WPP (Ogilvy Healthworld) and more recently a stint at the Hive Group. He also has senior experience on the agency side, spending 20 years at WPP's PR consultancy Hill &Knowlton, including eight years as chairman and CEO. The agency is WPP’s only healthcare dedicated PR and communications agency. WPP owned healthcare specialist agency GCI Health has expanded into the Asia-Pacific region. London, GCI Heath opened doors for business in 2013 as a then new hub office of WPP’s only global health-dedicated public relations agency.